Islamabad: Foreign Minister Shah Mehmood Qureshi has stated that dialogue is the only option to resolve all outstanding issues between India and Pakistan. 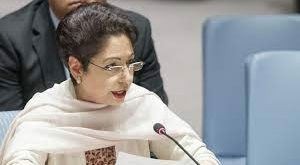 Responding to a call attention notice in Senate, the Minister said the Prime Minister immediately after assuming power offered India to come to dialogue table in order to remove illiteracy and poverty from the region. He said Pakistan needs peace at both eastern and western fronts. Referring to the cancelled meeting between foreign ministers of both counties on the sidelines of UN General Assembly session in New York earlier this year, he said India had initially agreed on the meeting but later backtracked due to domestic political compulsions. He said India had in mind elections in six states of the Union and general elections next year. Foreign Minister said our response was very measured and mature in which we said Pakistan is willing to engage when they are ready as engagement is the only solution to our bilateral outstanding issues. Regarding the opening of Kartarpur Corridor, he said the gesture by Pakistan was made for peace and completing the long-standing demand of Sikh community to visit one their holiest places. He said the Indian cabinet held a meeting and decided to reciprocate this gesture and did the groundbreaking a day earlier than Pakistan. They also sent two of their ministers to attend the ceremony in Pakistan. A group of 50 Indian journalists also attended the Kartarpur Corridor ceremony in Pakistan. Foreign Minister said a stable and peaceful neighborhood is our requirement in order to improve our socio-economic conditions. He said India must realize the high price Pakistan has paid in fighting the war against terror. He said no other nation has sacrificed 75,000 people in this war, besides suffering losses of billions of rupees. He said all credit goes to people and armed forces of Pakistan who have exhibited their resilience. The House was informed today that government of Pakistan is regularly in touch with Afghan government for access to information regarding Pakistani prisoners in Afghanistan and their repatriation to Pakistan. Foreign Minister Shah Mehmood Qureshi in a written response during the Question Hour said the government has raised this issue as one of the agenda points of all bilateral engagements with Afghanistan. He said during the inaugural session of Afghanistan Pakistan Action Plan for Peace held in Kabul in July this year, the issue was discussed during talks with Afghan Deputy Foreign Minister. Pakistan embassy in Kabul has arranged repatriation of seventeen Pakistani prisoners released from Afghan jails from 20th February to 30th August this year. From the period August 20th to this month, four Pakistani prisoners were released and repatriated to Pakistan. Foreign Minister Shah Mahmood Qureshi said that the United States and Taliban held dialogues due to the efforts of Pakistan and the credit of this goes to the incumbent government. The minister said that the region needs peace and stability, adding that peace is also needed for economic development.